Cecilia Wanjiku is a mother of four – two boys and two girls. She is 42 and lives with her husband and children along Thiong’o Road in Mountain Estate, a suburban enclave in the so-called “slumburb” of Kawangware. Home to almost 150,000 people, Kawangware is a sprawling mix of neighborhoods and informal housing that lies about 15 km west of the Kenyan capital city of Nairobi. When Kawangware is in the news it is often for the difficult living conditions its residents face. Many families can’t afford to send their children to school, which combined with a lack of opportunities has led to an unemployment rate of around 65%. Clean water and electricity are also in short supply, and while many families have access to liquefied petroleum gas (LPG) to cook their meals with, they often cook with charcoal. 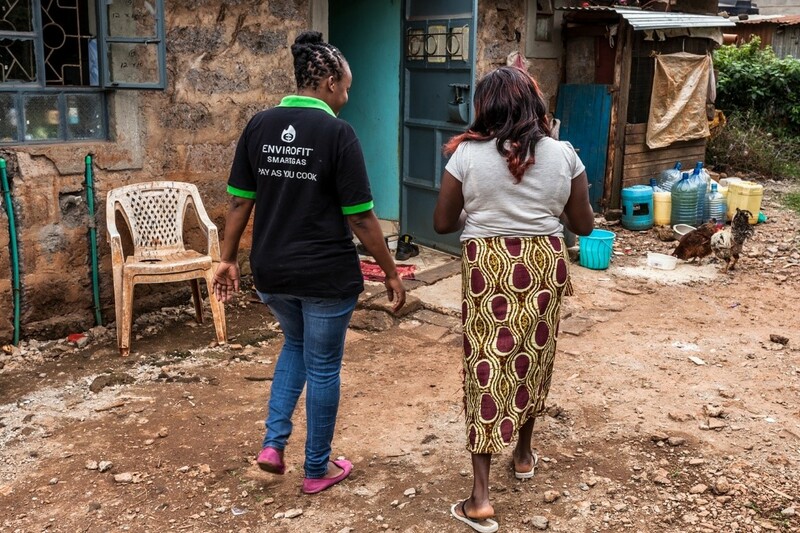 The Wanjiku children do attend school, and Cecilia takes pride in providing opportunities for them against the harsh backdrop that Kawangware often presents. 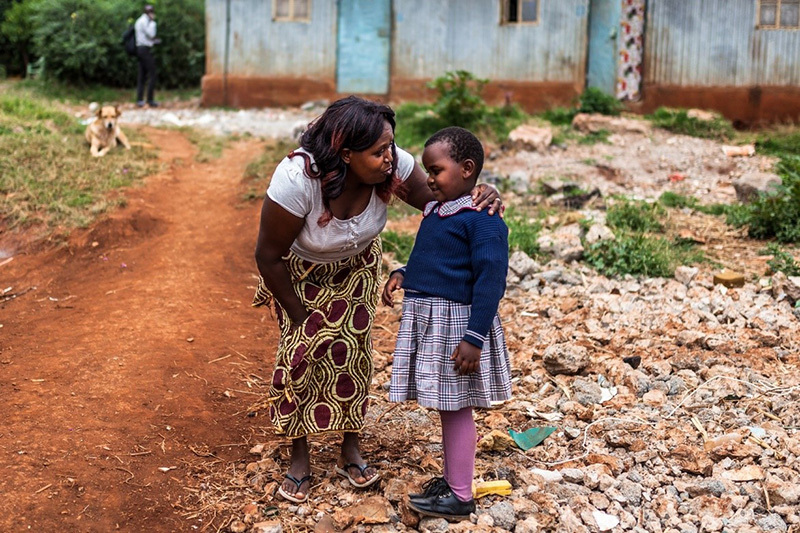 Like many mothers in Kenya, Cecilia wakes up early to feed her children before school. It’s at the start of the day when her first decision regarding household energy must be made. Charcoal takes nearly 20 minutes just to heat up, unlike a gas flame which is available by simply turning a knob. However, charcoal is reliably available and Cecilia can purchase what is needed for the day just around the corner from her home at a cost she can afford. Charcoal is often preferred for many traditional dishes that require long boil times to break down tough starchy foods, such as ugali, an East African staple made from maize or sorghum. LPG, on the other hand, burns cleaner and can cook meals faster. But when the tank runs out, Cecilia will have to save a large sum of her family’s income to buy a tankful, walk up to a mile to the closest filling station, and even then they also might be out of the fuel. This trade-off between reliability, cost and convenience was one that Cecilia was used to making until she became an Envirofit SmartGas Customer. Envirofit’s SmartGas service is a new technology that allows consumers to pay for gas in daily increments. The service also includes door-to door delivery service to bring LPG safely and conveniently into the household. Cecilia received her first SmartGas delivery in December 2017, and has enjoyed the service for the flexibility it gives her when cooking, and for the experience it provides her. Cecilia previously had to refill her 5kg LPG tank twice a month. The process was time consuming because she had to carry her LPG tank back and forth from the filling station. Envirofit’s SmartGas service addresses this concern by outfitting their tanks with SmartValve technology, which uses mobile communication systems to schedule refill deliveries automatically. This ensures a consistent, affordable supply of fuel, and removes the burden of refilling from Cecilia’s schedule by having a full tank of LPG arrive at her door. “This is a very huge leap for me. I save time because the tank refill is done by Envirofit. I am no longer bothered with in-the-month back and forth refill trips,” Cecilia said. Another common barrier to LPG usage is that gas must be bought by the tankful, which is inconvenient and expensive for many households used to making daily purchases. Though households can pay as much as $1 per day when making daily fuel purchases, the flexibility it offers users is necessary because income can be variable throughout the month. “I like that I can buy gas in smaller amounts; a factor that ensures that I always have gas. I don’t have to save for a full tank refill which, was sometimes a challenge especially during those difficult curves of the month,” Cecilia said. Envirofit’s SmartGas system overcomes this barrier by offering users the ability to make daily, pay-as-you-cook LPG purchases at a cost equal to or cheaper than charcoal, as little as $0.50 a day using mobile money. For Cecilia, the affordability of cooking also limits how fast she can cook. While stoves with 4 burners are taken for granted in high income countries, much of the cooking that takes place in Kawangware happens on tank-top burners. These small, single-burner gas stoves sit directly on top of LPG tanks and can be a household’s sole indoor cooking option. For Cecilia and her family of six, a single burner isn’t enough to make a meal consisting of multiple dishes, and so a charcoal stove is used as well. Even the cleanest burning charcoal stoves – with combustion efficiencies over 40% – still give off smoke. The more common cheaply made ones that are ubiquitous at shops and markets throughout Kenya only operate on an average of 15% efficiency. This means cooks have to work outside, or put their charcoal stove near an open window. Despite these efforts, this still leads to smoky air and soot on walls, and is made worse by cold or rainy weather. Envirofit SmartGas also helps users upgrade their kitchen by financing a two-burner SmartCooker LPG stove. LPG burns at 55% – 65% efficiency, and the easy to use, two-burner stove is compact and safe. Women in Kawangware say it is an improvement over their tank-top one-burner stoves because it doesn’t require a second stove when cooking for family and friends. 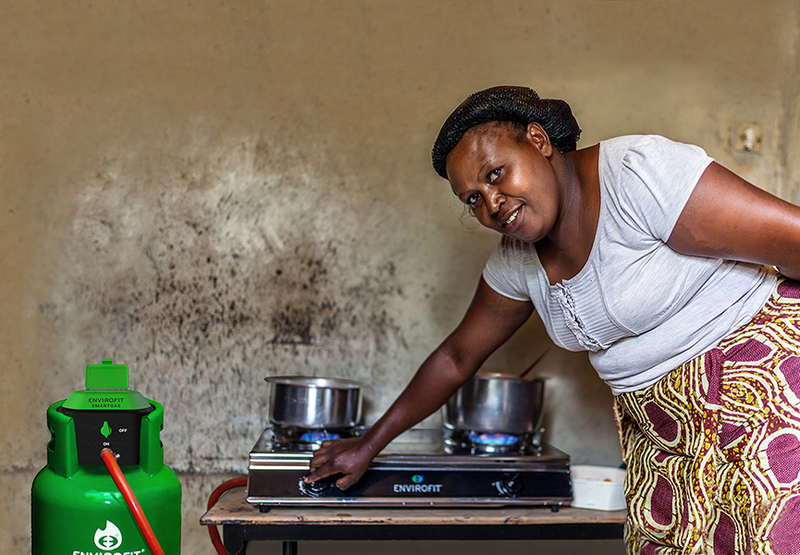 As stove stacking decreases and LPG usage goes up, households like the Wanjikus benefit from more convenient access to modern fuels, and lowered exposure to smoke and soot. 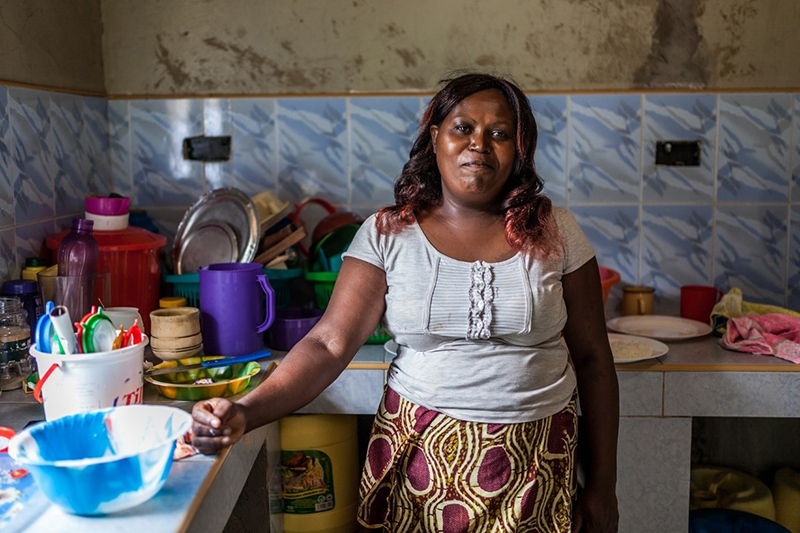 By listening to customer needs within in the market and designing a system that delivers modern cooking options while addressing their concerns, Envirofit SmartGas has taken the steps to bring clean, safe LPG cooking to customers like Cecilia, and aims to reach millions more throughout the world.